Adapts a female PVC/CPVC sized appliance collar (with integrated gasket) to InnoFlue® SW diameters. Vent Lengths and fittings are joined using high performance EPDM H1 gaskets, which are suitable for service pressures up to 20 inches of water column (5000Pa) and are resistant to corrosive condensate. Once Centrocerin (installation lubricant) has dried the gaskets provide firm junctions between components. InnoFlue® Single Wall Residential can be configured to vent individual appliances or cascaded to form a common vent system. InnoFlue® Single Wall Residential can be combined with InnoFlue® Flex or InnoFlue® Concentric. For more information on system configurations, visit the InnoFlue® Single Wall Residential Solutions page. All InnoFlue® products have passed relevant UV testing for vent systems. Components should be stored in a clean, dry environment in their original packaging. For more information on the health and safety benefits of using InnoFlue®, please view our Health and Safety page. Where installation of an InnoFlue® involves working at a height, a full risk assessment must be conducted and appropriate safety measures put into place. Installation of InnoFlue® does not require any special tools. Centrotherm reccomends that the material temperature is not less than 32°F (0°C) during installation. Pipes are joined by push-fit connections, with EPDM or Viton gaskets located in the sockets. Pipes and components must be installed with their socket ends to the outlet and male ends to the appliance. Lubricate seals and male parts of pipes with CENTROCERIN lubricant or water only. Push male end of pipe into opening with light twisting movement. Components should be selected to minimise cutting. Where cutting is necessary, pipe sections can be cut to length at male end (non-socketed end). Any cuts must be made at right angles to the pipe. 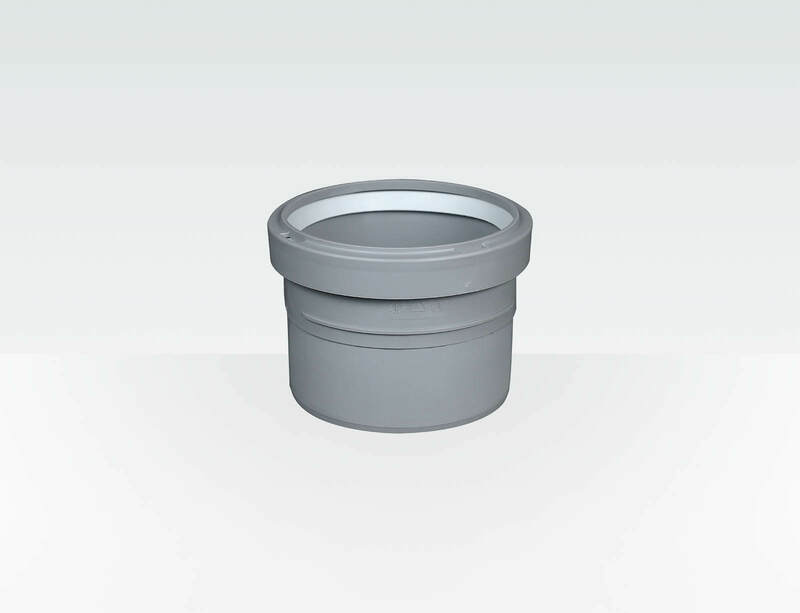 Pipe can be beveled for insertion into the adjoining socket to ease installation. All field cuts must be deburred. Bends and other pre-formed components must not be cut. For complete InnoFlue® Installation Instructions visit the Literature Section and download the Installation Manual. Once InnoFlue® installation is complete, the heating system and flue should be commissioned following the boiler manufacturer’s instructions. There is no cure time or wait time required.